Rappers are known for their dogs, but usually a rapper’s dog is a big, powerful breed to enforce their masculinity, such as a Pitbull or Rottweiler. 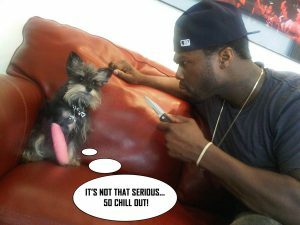 US rapper 50 Cent however likes a friendlier breed of dog, one he can turn his back on and not wonder if it’s going to ‘stick him’ – his dog however has no such assurances judging by the recent photo Fiddy uploaded to his Twitter account. 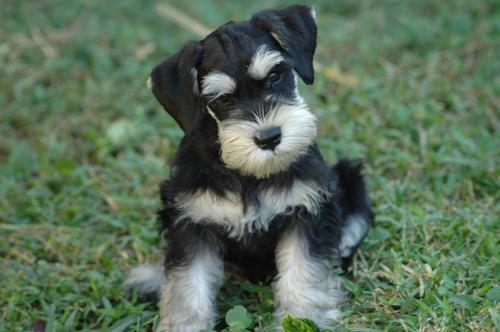 The Miniature Schnauzer is one dog that really loves people. 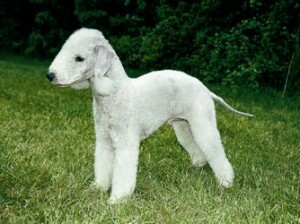 They will run around and enjoy letting their owners know that the postman, or any other visitor, is at the door. In fact, it can become a trait that becomes annoying, but early training can help to reduce the antics of this energetic and feisty little terrier. 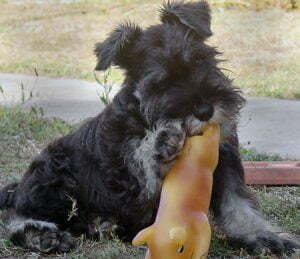 A miniature Schnauzer loves attention, so is considered an ideal pet for children of all ages – but they can be highly protective of their pet food and their own personal toys. If a young child is in a home, it is important that they are guided to understand this concept.